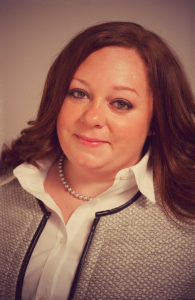 Attorney Caitlin E. Bearer practices in the areas of estate planning, special needs advocacy, special needs trusts, trust and estate administration, guardianships and conservatorships, and probate. She received her Bachelor of Arts degree from Albion College in 2004, and graduated from Loyola University Chicago’s School of Law in 2010. Caitlin sat on the American Bar Association’s Board of Governors from 2008 to 2009. She served as a law clerk for the Michigan Attorney General, was a judicial extern for The Honorable Dennis Burke of the Cook County Circuit Court, and was an editor of the Children’s Legal Rights Journal while attending law school. Caitlin is a member of the Michigan Bar, was admitted to the Illinois Bar in November 2010, and is a member of the National Academy of Elder Law Attorneys, Inc. (NAELA).